"Dom Pereiry" znajduje się w Porto da Cruz, w rodzinnej i spokojnej okolicy, z widokiem na bujną górską scenerię i krystalicznie czyste wody otaczające wyspę. Zakwaterowanie na jednym piętrze z prywatnym parkingiem i bez schodów, odpowiednie dla dzieci i osób o ograniczonej sprawności ruchowej. Nie ma dodatkowych opłat za dostęp do Internetu. Oprócz indywidualnego łóżeczka dziecięcego masz do dyspozycji sprzężenie szopka z podwójnym łóżkiem, odpowiednie dla dzieci do 6 miesięcy, a także wanienka, zmieniacz pieluszek i inne. Kuchnia posiada wszystkie niezbędne sprzęty i sprzęt do gotowania posiłków, będąc przygotowanym na przyjęcie dużych rodzin. Biorąc pod uwagę przedłużone pobyty, dom ma również pralkę dla wygody naszych gości. Our stay at Pereira's House was great. The house was fully equipped (kitchen had everything you need to cook) and the bedroom and living room was very comfortable. 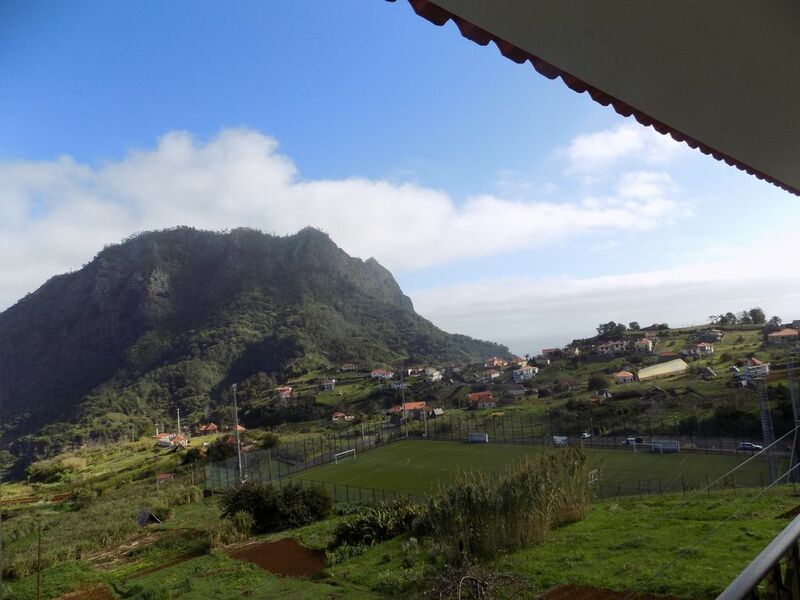 The location was convenient, 15 mins to Santana, close to Faiel, 25 m to Funchal. It was also very near two beautiful levadas. The host was very welcoming and his Mom and Dad live downstairs in case you need anything, although it is very private. I would highly recommend just for the kitchen view itself which looked out on a beautiful vista and mountain which could also be enjoyed from the terrace. Highly recommend. Thank you Robert for your positive comment. Maison spacieuse, à la campagne au calme sans être isolée permettant d'explorer facilement la côte de Ponta do Sao Lourenço à Sao Vicente. Accueil de nuit particulièrement chaleureux. Propriétaire tres disponible et réactif, ainsi que sa maman qui vit sur place. La location est très propre ; belle vue sur la mer de la cuisine et des chambres. Une place de parking sur la propriété. Salon de jardin sur la terrasse. C'est une bonne adresse que nous recommandons, avec un bon rapport qualité/ prix. Merci Patrick pour ton commentaire positif. Vous étiez un groupe de 5 étoiles. J'espère te revoir. Merci. Nous avons été parfaitement accueillis par les parents de Norberto, qui sont d'une grande gentillesse. La maison est parfaite pour un couple avec trois enfants. L'emplacement, au calme mais pas isolé, nous a paru idéal. La vue surtout est magnifique, et des randonnées sont accessibles à pied depuis la maison. On espère revenir vite! The holiday home is the top floor of a large house. The friendly owners live at the bottom, they have a large vegetable garden. On arrival we found an alcohol-free beer in the fridge and a basket of self-grown onions and potatoes. The potatoes have a world-class taste. The house is nostalgically furnished and has good beds. From the balcony over the entire length of the house you can enjoy the beautiful views of the surrounding hills. The property is a good base to explore the east and the center of the island. Thanks Ronald for your comment. We really enjoyed having met you and Iolanda. P.S. I hope Iolanda is better off the injury.